In 1906, the State Baptist Convention, in session in Shawnee, appointed a commission to make plans for the founding of a Baptist university. In 1907, a board of trustees was elected; and on February 9, 1910, the incorporation certificate for the Baptist University of Oklahoma was issued and a new university was born. Oklahoma Baptist University opened in September 1911, holding classes in the basement of the First Baptist Church and in the Convention Hall of Shawnee. 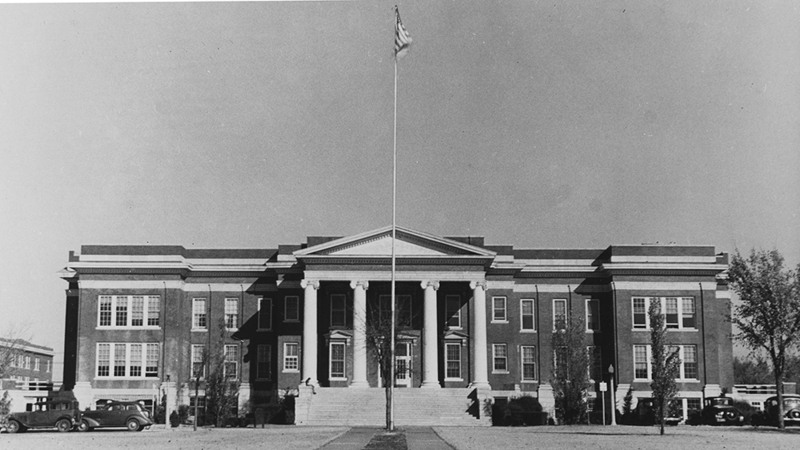 The City of Shawnee contributed the original 60-acre campus and the first building, Shawnee Hall, which opened in September 1915. Beginning the fall of 2009 and throughout 2010, OBU celebrated its first 100 years. Learn more about OBU's centennial and celebration events. Learn more about OBU's history.